How eSignature Software Speeds up your Everyday Business Operations? The eSignature software is a business application that is used to electronically sign documents over the internet. The solution significantly accelerates business operations and provides both parties with a secure way to conduct business transactions. However, it is not being used by most companies. One of the reasons for this is that businesses tend to look at the software as something that is to be used only for specialized functions. 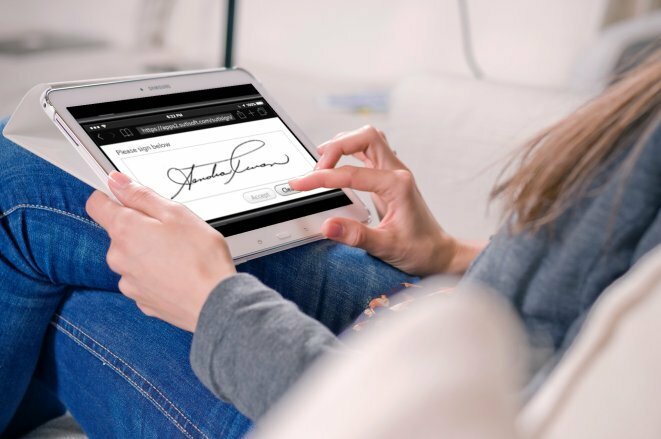 Another reason is that organizations working only in some industries such as banking and insurance, which need signatures from their clients, will make use of this eSignature software. However, the software is not to be limited to a few industries. With its broad range of features, the software is an ideal solution for every business that has multiple dealings in everyday business. Take procurement, for example. Normally, signature software is not associated with procurement. However, if you take a close look at the process, there are a number of scenarios where the eSignature solution is required. For example, in-house specialists who deal with suppliers need to sign orders before delivery and authenticate them after delivery. In such cases, using the eSignature software will speed up the process and allows you to track the deals systemically. Now let’s take performance appraisals and job offers for the HR team. When a candidate is selected for a position, the HR professional has to take all the required documents from the candidate and make him sign the offer letter. This is where signature software can help reduce clutter and speed up the process. When we come to performance appraisals, employees have to sign their appraisal forms after they complete a self-appraisal. Sometimes they need to sign appraisal forms of peers if the organization has peer-to-peer performance appraisal process in their list. In these cases, the online eSignature software solution can again help with the process. All the business processes which need approvals can benefit from the signature software. The solution can easily be made a part of business operations. You can either integrate the signature solution with your in-house applications or use it as a standalone application for getting approvals and authentication. The software is flexible to meet the business needs of all sizes.